Customer Testimonials for Serwe Automotive, Inc. Very happy with my purchase and service. Answered all my questions honestly. I would strongly recommend checking them out for your next vehicle purchase. 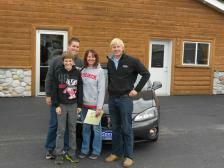 Another great car buying experience with Serwe Auto. 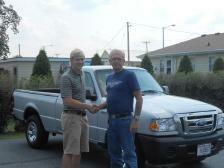 They have a nice selection of quality used cars and trucks. They made it very comfortable to find a vehicle, test it and purchase it. This is our fourth experience with Charlie and Lucas and we will continue to go back and recommend to others. Great guys that made it easy. Lucas had the truck I was looking for and he and his Dad made it easy, fun and fair buying my truck with my trade in at Serwe Auto. Not to mention the service my brother in-law & I received weeks and months after. I have been doing business with Serwes for 20+ years. They are fair and always is a great experience. Very satisfied with my SUV. Lucas has been very helpful on getting me up to speed and comfortable in my new car. Could not be happier with the Terrain. 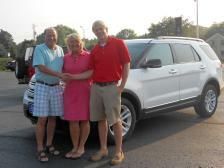 Charlie and Lucas were great to deal with and made the buying process quick and easy! Serwe Automotive is the best dealership I've ever had the pleasure to deal with. I used to work at a dealership in nearby West Bend, and Serwe's customer service and reasonable prices far exceed all of my previous experiances. Great local company. Lucas is a terrific salesman. You will not find a better, personable, caring, dealership than Serwe Automotive. They sell nothing but the best cars and it shows! If you are looking for an upfront and honest dealer, you are looking at the right place! Great people to deal with. Great truck. 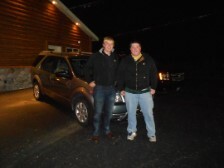 I bought a chevy equinox from Serwe Auto and could not have been treated better. From the time I stopped at the lot to when i picked up my car, Charlie and his team were very helpful and not high pressure. 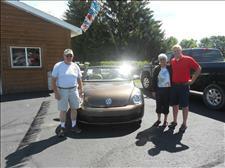 They worked with me to find the right vehichle for a very good price. Would recommend for a great used car buying experience. 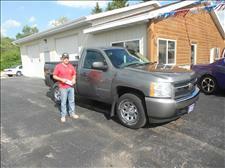 I bought a used Chevy from Serwe Auto. I could not have been more happy with the car, price, service and overall experience. Charlie was great to work with and had the car ready and spotless. The process was smooth and I will be back for another car when I am ready.  My experience at Serwe Automotive was extremely pleasant. The dealer was so helpful and considerate. 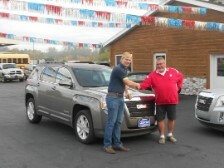 He was very knowledgeable and intelligent so the car shopping and buying experience was optimal. I would highly recommend this dealership to any and everyone.